“The Front Runner” features Hugh Jackman as Senator Gary Hart, a shoo-in presidential candidate (Democratic) as the 1988 campaign began. When whispers began that the Senator was having an extramarital affair, he challenged the press to “Follow me around, I don’t care…” That scenario played out as the Miami Herald sent reporters and a photographer to stake out Hart’s Washington D.C. town home, and they discovered Donna Rice (Sara Paxton) was there. 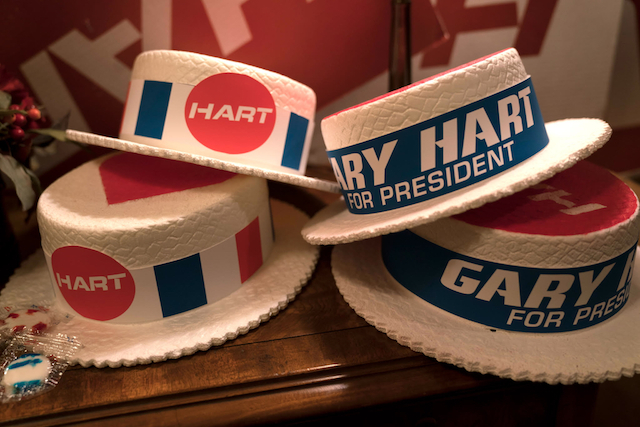 Hart’s denials of impropriety and the media’s unrelenting coverage derailed his presidential campaign. “The Front Runner” is an extensive re-creation and deep dive into the story, and chronicles a significant moment in history, when the media changed the way they covered the private lives of the candidates. For more insight into “The Front Runner,” click here for a Podtalk with director Jason Reitman, by Patrick McDonald and Jon Lennon Espino of HollywoodChicago.com.